Synergy Award projects include faculty members in at least two different schools/units as co-principal investigators. The awards are intended to support new, highly innovative projects that are not yet funded or published. 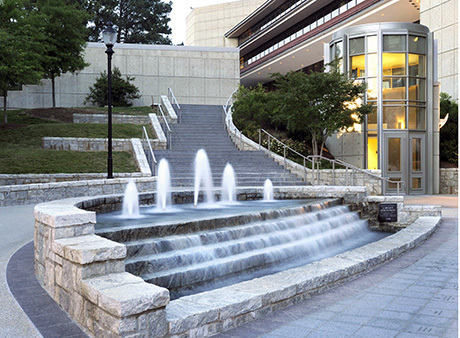 The Woodruff Health Sciences Center (WHSC) has announced the 11 proposals selected for funding in the third cycle of Synergy Awards. The awards support collaborative projects among faculty at Emory University School of Medicine, Rollins School of Public Health, Nell Hodgson Woodruff School of Nursing, Yerkes National Primate Research Center, Winship Cancer Institute, and all other units in the WHSC. "In the first year, the Synergy Awards led to incredibly productive collaborations among our health sciences faculty," says Jonathan S. Lewin, MD, executive vice president for health affairs, Emory University; executive director, Woodruff Health Sciences Center; and president, CEO, and chairman of the board, Emory Healthcare. "I am fully committed to the value of interdisciplinary collaboration as a catalyst for creativity and innovation, and am very pleased that we can continue to offer these awards to bring together additional researchers who contribute energy and inspiration to our research enterprise." Proposals for the Synergy Awards are required to include faculty members with primary appointments in at least two different schools/units as co-principal investigators. The awards are intended to support new, highly innovative projects that are not yet funded or published. Synergy Awards offer up to $100,000 in support for an award term of one year, with potential carryover to a second year under special circumstances. The Synergy Awards are funded from the Office of the Executive Vice President for Health Affairs. "The Synergy Awards have exceeded our expectations in terms of both results and enthusiasm," says David Stephens, MD, WHSC vice president for research. "During this funding cycle we received 52 proposals, and the selection process included a committee of 75 reviewers. I'm confident these new award winners will produce inspiring, high-impact results." Metagenomic Cartography of the Virome in Transplant Recipients"